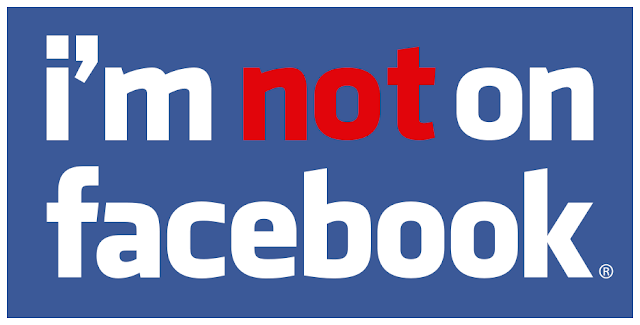 The past few days for me have been filled with emails about Facebook tags and notifications of messages received there. I can't read them. Seriously. As I announced weeks ago, December 10th was my last day on social media for seventy days. My web browsers are blocked 24/7 from visiting the site. The app has been deleted from my phone and blocked from future download. I have purposely cut myself off. Any posts that I make here on my blog are automatically delivered to Twitter and Facebook via an automated RSS feed. While it may look to the (very) casual observer that I'm popping in over there now and again, trust me--I'm not. Please don't take my lack of response as a personal insult. I can't respond because I can't read your messages. Not on Facebook?!? Clearly insane. Quick, someone get her to the loony bin! You must compulsively reload facebook every 30 seconds. Then you can be normal and forget this creativity phase you're going through. Oh well. Happy New Year! Hope you are more productive and creative than ever. I miss you, too, but I get it. Love to you and the family.